Gunarti Coghlan serves as an Environmental Engineer in the Environmental Restoration Division of the Naval Facilities Engineering Command Headquarters office (NAVFAC HQ). Prior to NAVFAC HQ, Gunarti worked with the NAVFAC Washington and several consulting firms including Tetra Tech EMI, Shaw E&I, and CH2M HILL. Gunarti is involved in initiatives to promote innovation technologies and remedy optimization within the Department of the Navy Environmental Restoration Program. Her experience includes management, design and implementation of remediation activities under CERCLA. As one of the Navy’s top technical experts in advanced environmental restoration technology, she has been an invaluable resource to critical Navy and OSD R&D efforts through her representation on the research review boards of NESDI and SERDP/ESTCP. Her leadership in championing the implementation of highly advanced remediation technology has been critical to enhancing the Navy and DoD’s capabilities in addressing environmental risk at some of the most technically complicated sites in the country. Gunarti was born in Central Java, Indonesia and is fluent in 3 languages. 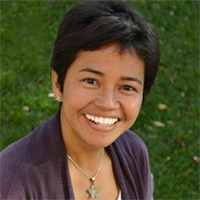 Gunarti received her Bachelor of Science degree in Chemical Engineering from Universitas Sriwijaya in Palembang, Indonesia and her Master’s of Science degree in Environmental Science and Engineering from the Colorado School of Mines. She is a Registered Professional Engineer in the State of Virginia. In her spare time, she enjoys gardening and experimental cooking.